Iron Man comic books were published by Marvel comic books and featured Tony Stark, as Iron Man. Some early issues of this title were reprinted in "Marvel Super-Heroes (1967 series)". We have 175 of the 332 issues. This is the first series of Iron Man comics. But earlier, shorter stories appeared in Tales of Suspense. 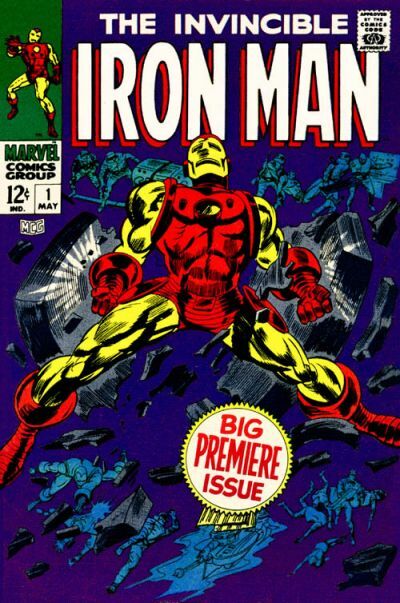 Click, for a full list of all Iron Man comic books for sale. Some Iron Man comic book series contain only a couple of issues and others are longer, such as Iron Man (1988 series). Any Iron Man comics for sale has a total money-back guarantee. As a result, if you want to buy Iron Man comics, you've found them! If you're looking to collect a series, and you're on a budget, then the original Iron Man series should be one of your first stops for several reasons. First, the popularity of Iron Man has been spiking due to the success of the Iron Man movies. Thank you Robert Downey, Jr. And, if experience is any guide, good movies fuel continuing interest in a character. Second, the series is relatively inexpensive since its first issue was May of 1968. Unlike the Fantastic Four (1961) and Amazing Spider-Man (1963), Iron Man's title was begun years after the first big wave of the Marvel era. As a result, the cost of the series is way less than those two titles, or Avengers (1963), X-Men (1963) or Daredevil (1964). Third, the series is "expandable". Once you finish collecting all 332 issues or "Iron Man" , you can go back and get issues of Tales of Suspense (1959 series), where Iron Man first appeared as one of two stories (starting with issue #39). Iron Man was relegated to Tales of Suspense because in those days Marvel's distribution deal limited the number of titles it could publish. For a while Marvel gave Iron Man the entire book, but later he shared it with Captain America stories. 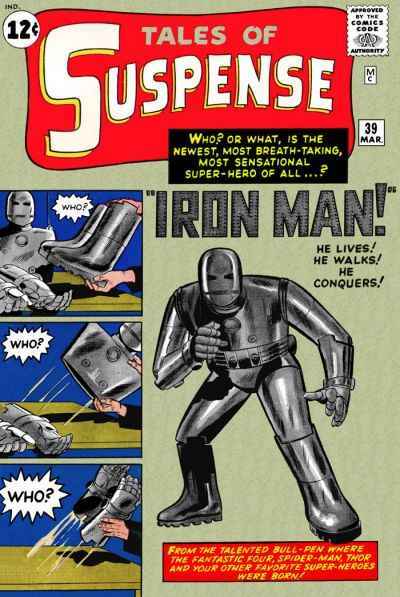 Iron Man stories appeared 61 issues of Tales of Suspense, before Marvel got a new distribution deal and was able to give old Ironhead his own comic book.